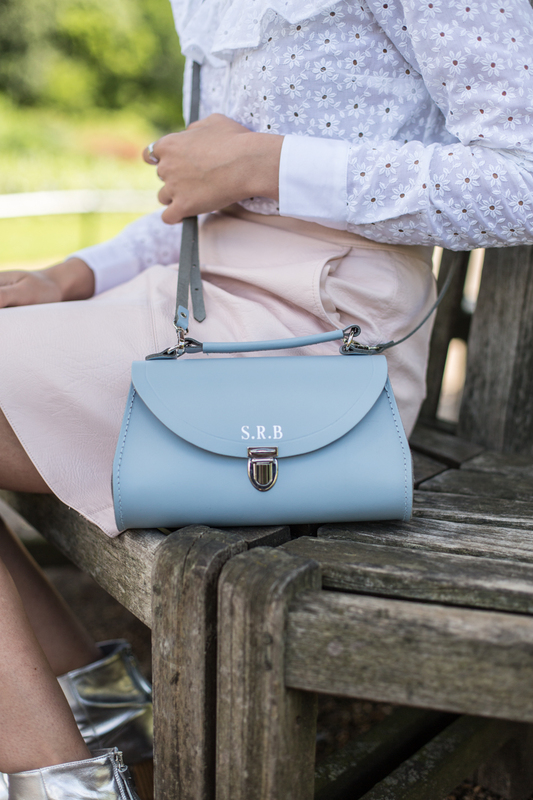 Something's in life need no introduction and I feel like The Cambridge Satchel Company's new Poppy bag is one of them. It's classic shape, feels like you've known it for years and in colour's you never knew you always wanted. 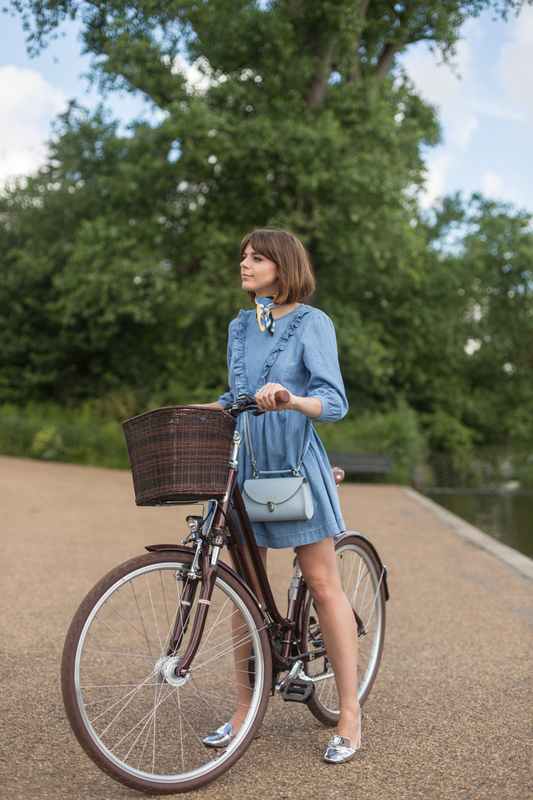 Ordinarily I'm a complete colour-phobe but, I welcomed the mini Poppy in Periwinkle blue into my life with open arms and seriously I can't imagine my summer without it now! We are firm friends, she's got my initials embossed on her to prove it. 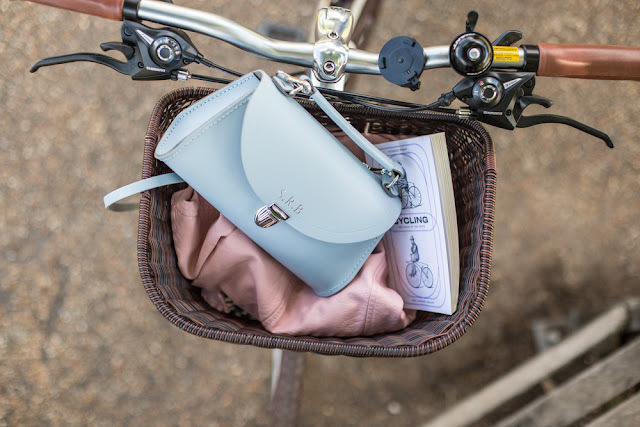 I was delighted to say the least when back in June, myself and Poppy were invited by the lovely folk at The Cambridge Satchel Company to take a trip down to London so I could show them exactly just how I styled my new little friend. Styling this bag made for easy work, she goes with E V E R Y T H I N G and because she's so dinky and simple in design, she's transitional from day to night which means when I say she goes with everything, I mean it. 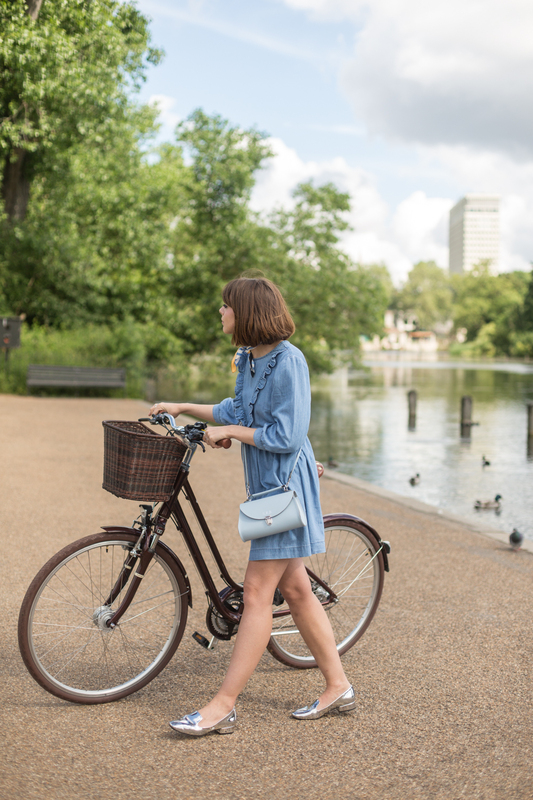 If you're a fan of a denim dress over summer such as myself, then the poppy is the perfect colour pop you need to go with it and so it seemed like a no-brainer that this would be the first of my outfit choices. The second played on the sugar sweet blue shade of the bag teaming it with a pastel baby pink skirt and a pie crust Broderie Anglaise blouse.. This outfit is so sweet it belongs on a chocolate box and not going to lie, it made my do a giddy little squeal inside. 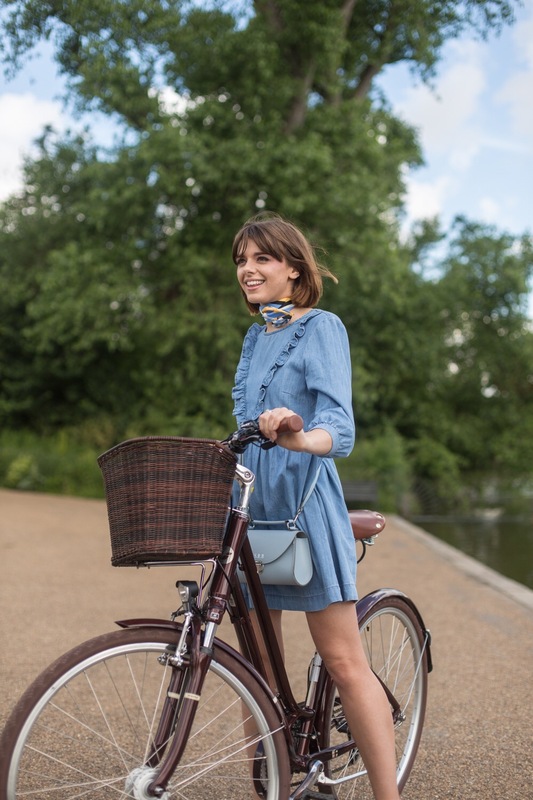 First off i can spot nearly ALL of these clothes from my ASOS wishlist :P Literally that denim dress and blouse are sitting in my basket as we speak!